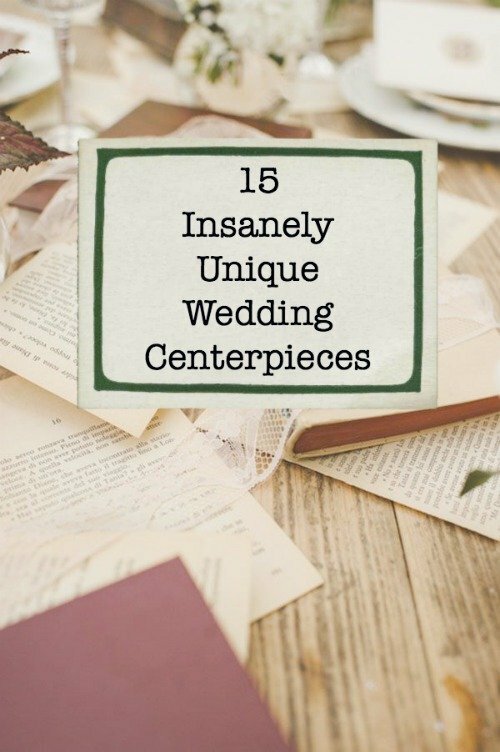 15 INSANELY Unique Wedding Centrepieces! It can be hard to think outside of the box when it comes to wedding centerpieces, and that’s OK. Flowers in simple vases will always look beautiful, and there’s no need to overthink every item that should go on your wedding tables. But when you DO come across fun wedding ideas that you haven’t seen a gazillion other times, your creativity levels can get a much-needed boost. 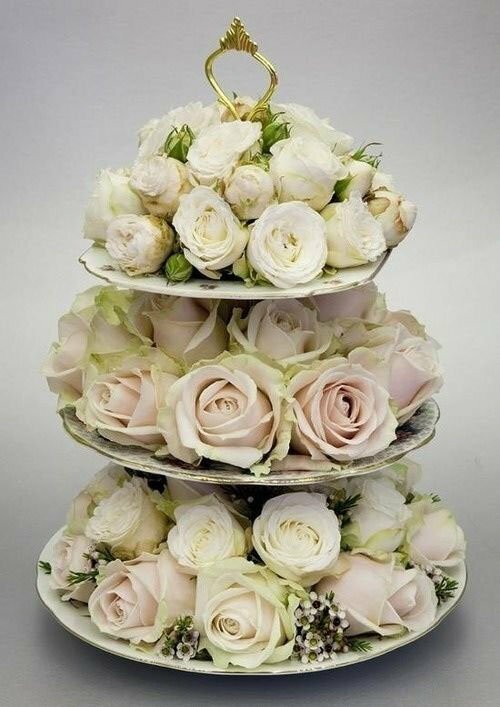 I love these unique wedding centerpiece ideas, below, for a whole bunch of reasons. 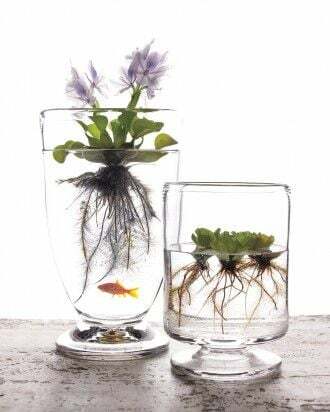 Aside from one or two (hello, “Up in the Air” tablescape), they are all relatively easy to DIY or show to a wedding planner for inspiration. 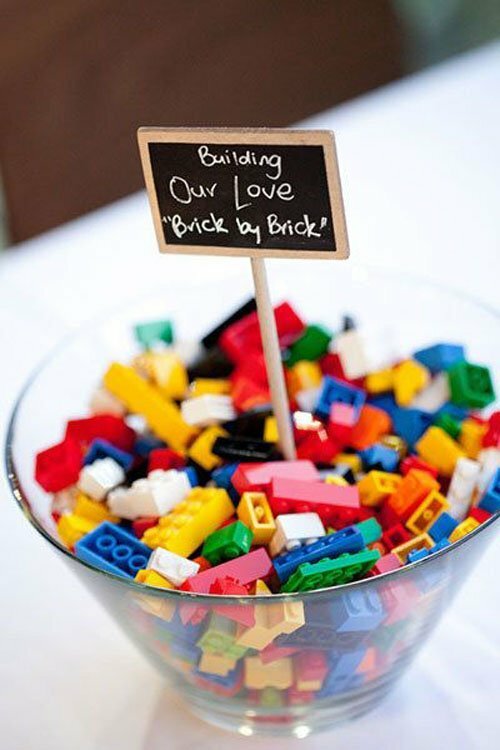 Do you have a fun idea for a unique wedding centerpiece? Let us know what it is in the comments section! 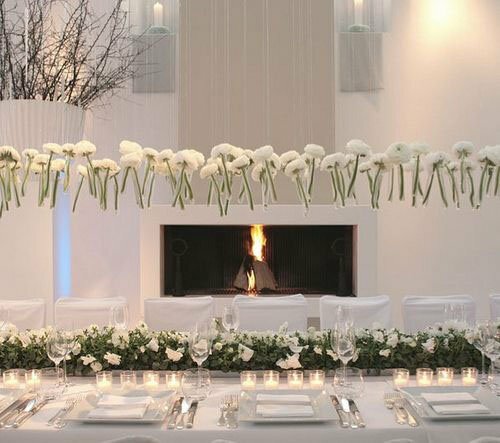 Looking for more wedding centerpiece ideas? 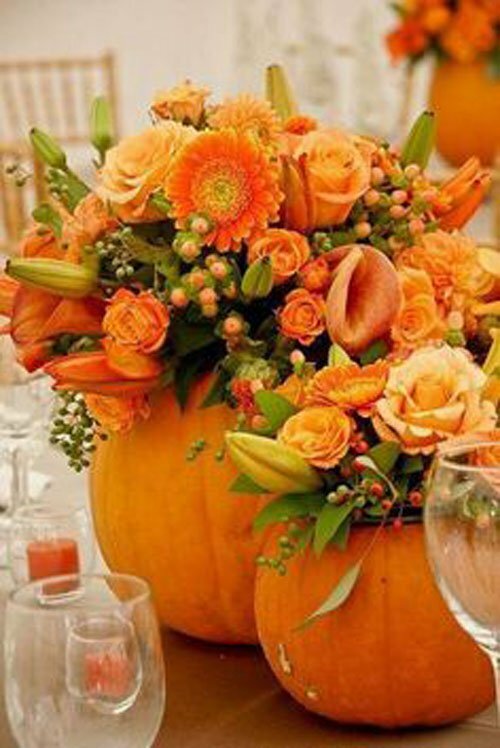 Check out our Favorite Fruit Centerpieces, and the best Fall Wedding Centerpieces. 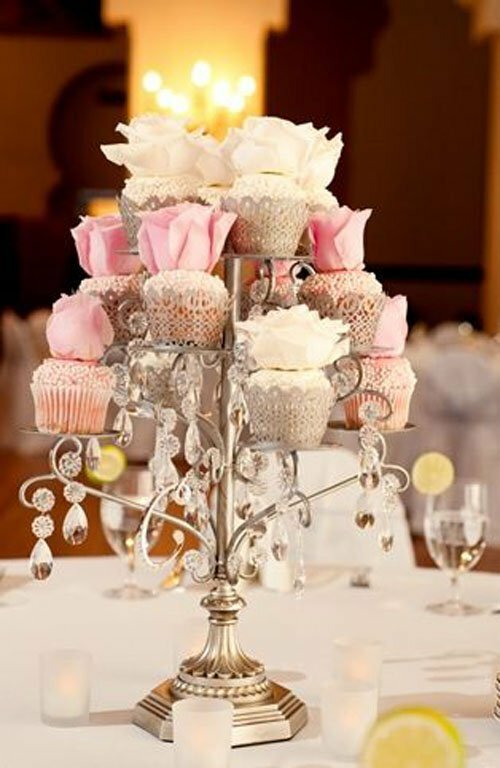 Or better yet, make them cupcakes for a yummy centerpiece idea. This DIY lily pond is over-the-top but I still love it. 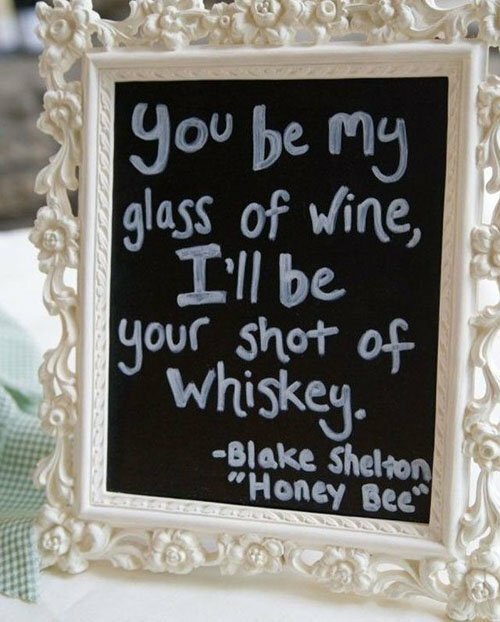 Put lyrics to your favorite songs on each table. You can also play a fun game where as soon as that song comes on, everybody at the table has to dance. 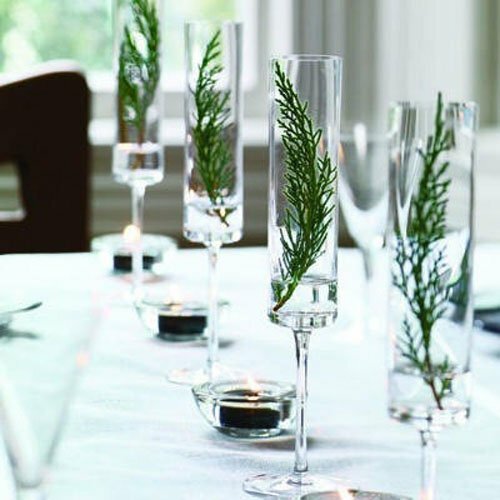 Evergreens in champagne glasses are chic and unexpected for a winter wedding. 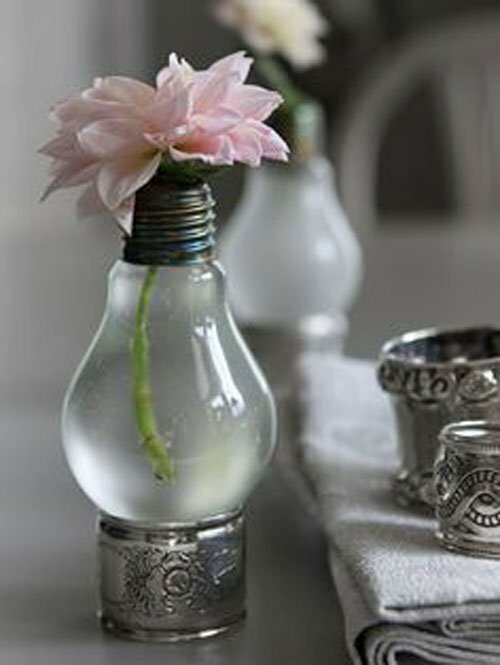 Recycle a lightbulb into a vase. Go crazy with your vegetables. 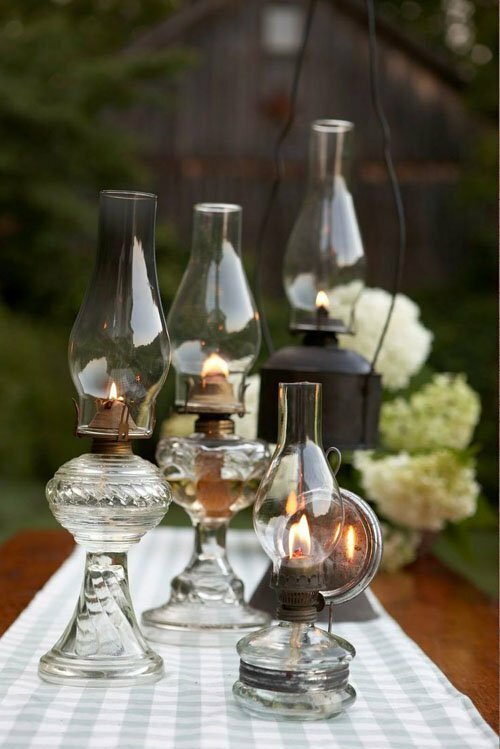 Vintage oil lamps are perfect for a spring or summer garden wedding. The more the better! 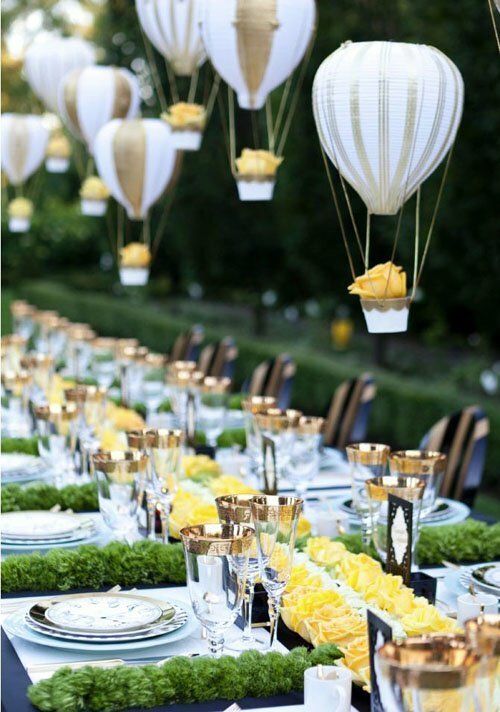 Suspend miniature air balloons or flowers for an amazing hanging centerpiece. 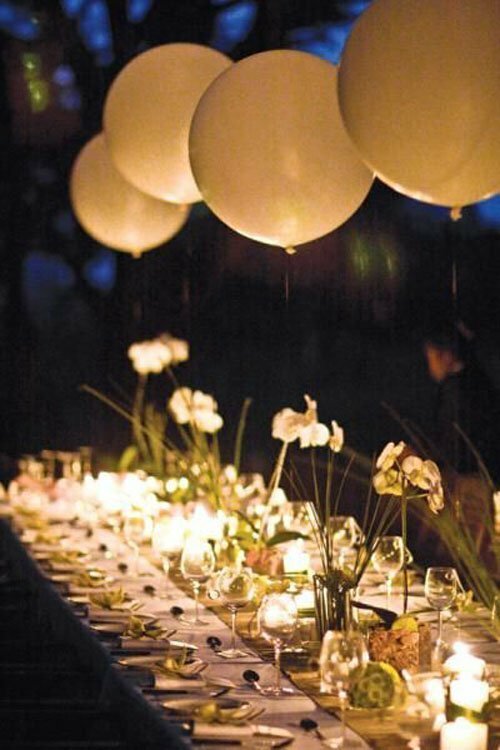 Or tie balloons to your table for a similar, floating effect. Legos make for a fun game at the kids table (or adults)! 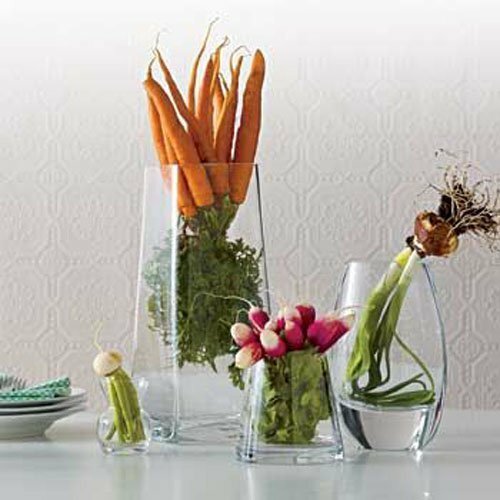 Place flowers under a glass dome on a moss runner for an instant piece of art. 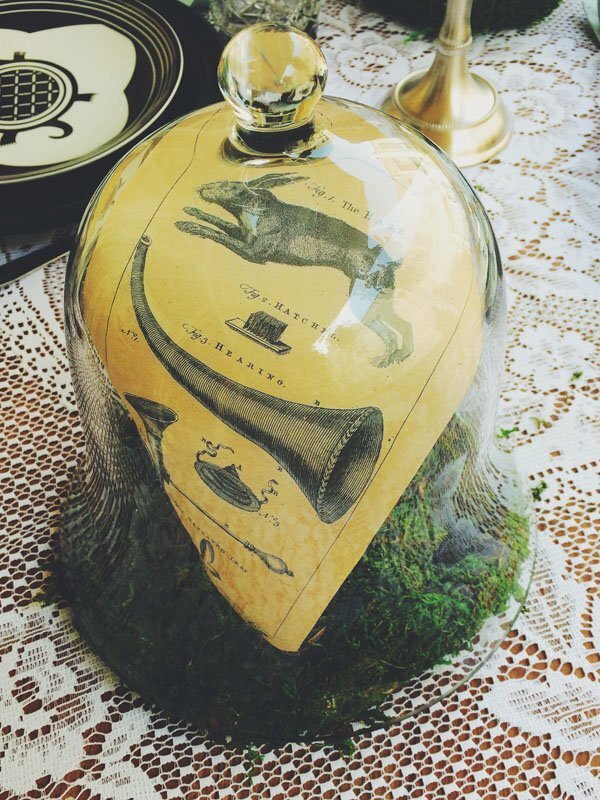 Or, place art under a glass dome, like I did for this Easter tablescape. 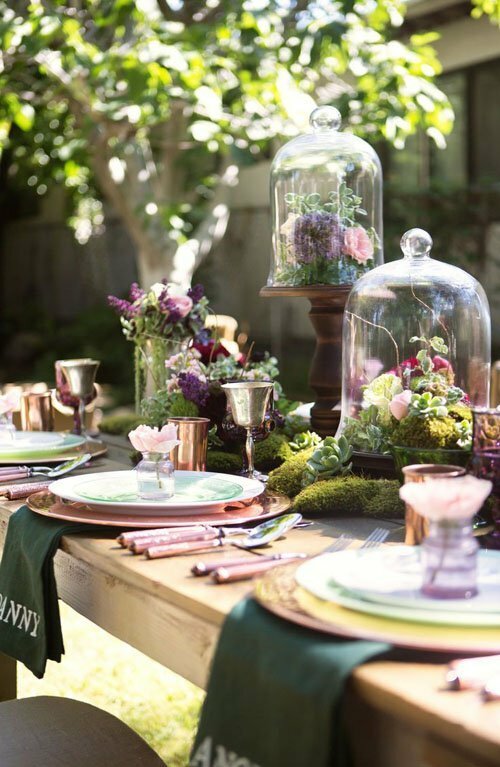 Get more spring wedding ideas from that shoot, here. …thank you Lindsay Goldenberg at WomanGettingMarried.com!